From an entry level writer to a fountain pen expert, the new Visconti Rembrandt is a perfect writing instrument for all range of writers. Distinctly designed, this fabulous Italian migrant features an appealing design that resembles with the most expensive Visconti pens. The name speaks for itself. Inspired from one of the most influential artists of European art, the new Rembrandt series portrays a fabulous design reflecting motifs of Rembrandt himself. 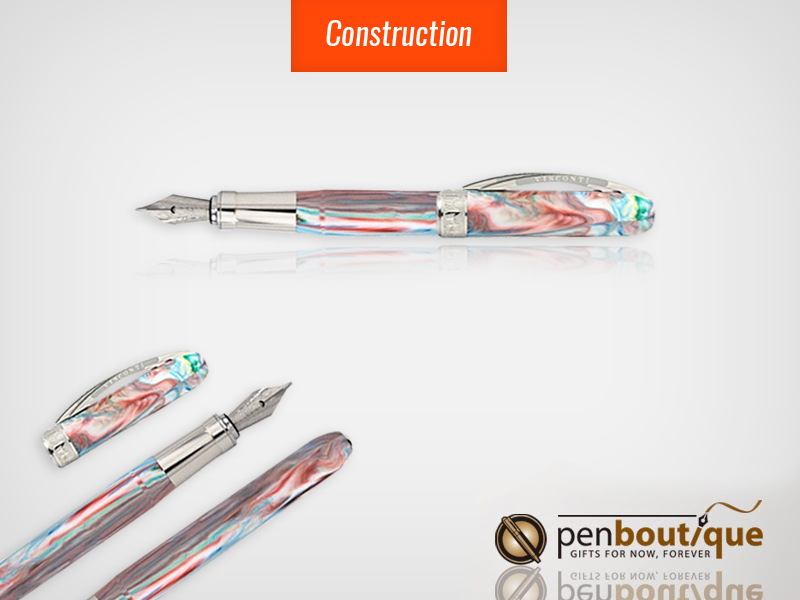 The pen is composed of variegated resin – a resin that has nice kinds of swirls into it. Its design imitates Rembrandt’s most practiced painting style commonly known to many as chiaroscuro painting technique. As other luxurious products from Visconti, this pen also flaunts a distinct design and delivers the brand’s promising theme. For daily writers, this fascinating pen can be a perfect companion. The sturdy construction of the pen defines finesse artistry of Visconti, and delivers a premium pen that reflects perfection from every ounce. As per my personal opinion, Rembrandt pens are perfect for people who are looking for a luxurious pen at an affordable price. Just imagine how cool it would be to pull out a Visconti pen and jot down your words onto a piece of paper. If you have friends who fall in the circle of pen aficionado, they would be completely thrilled when they see this fabulous writing instrument from Visconti. So, let’s go deeper into the topic. Today I will break it down for you guys, we will be talking about Rembrandt types, it’ construction, materials used and various other aspects about this fascinating Italian writer. The Visconti Rembrandt pens are available in six different colors, each reflecting a sophisticated design that evokes Rembrandt’s legacy and recalls one of his favorite style of painting. 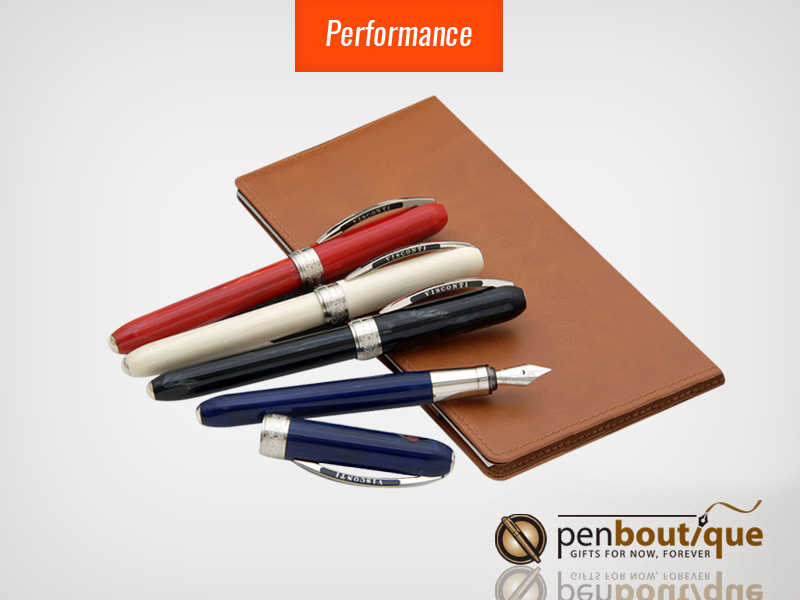 Though we are talking about fountain pens, but this series of pens is also available in Rollerball & Ballpoint pens. Rembrandt series are precisely engineered for perfection. Experts at Visconti have sophistically picked each material to craft a perfect writing instrument. The body and cap of the pen is composed of variegated resin – a high quality material that’s used to craft the most expensive luxurious pen. Though these pens are classified according to their color, they specifically follow Rembrandt’s chiaroscuro painting pattern and are characterized by elegant swirls and lines. To compliment its fabulous design a smooth metal grip is featured on the pen, the grip section fits snuggly between your fingertips and offers hours and hours of writing without any signs of hand fatigue. The pen also includes a magnetic cap, which is ideal for people who have to jot down quick notes on daily basis. With the magnetic cap closures, you don’t have to worry much about twists and turns. You can instantly pop out your pen whenever required and close it instantly after you are done. This fine Italian writer exhibits a luxurious design characterized by its high quality resin finish and stainless steel appointments. The hard work and dedication of Visconti experts are visible on Rembrandt series. The beautiful resin finish of the pen is highlighted by beautiful swirls and lines that clearly mark perfection. The pen comprises of a hefty cigar shaped profile that offers a balanced feel while jotting down your words on a piece of paper. The design of the pen is further enhanced by Visconti’s trademark clip and a subtle cap ring that gels pretty well with the design. The price range of the Rembrandt series is not what you would expect from Visconti. Though the pen looks expensive, it has a reasonably fair price and might fit into the budget of every fountain pen enthusiast. 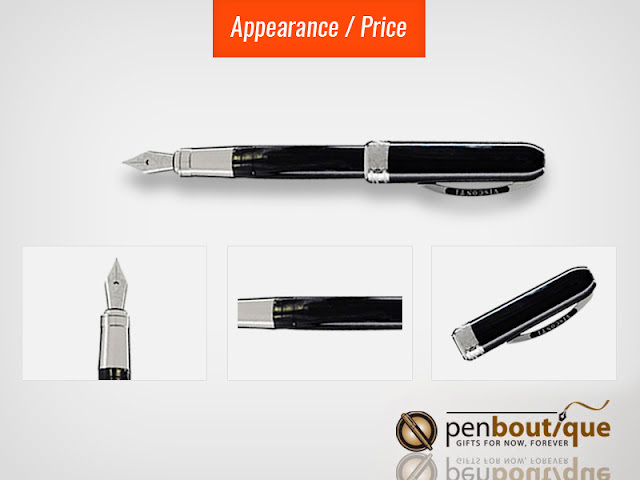 The Rembrandt pens feature a sturdy stainless steel nib with a plastic feed. Each nib is enhanced with an etched artwork of Visconti’s logo and an engraved name of the brand. The nib offers steady ink flow and lays down smooth and elegant lines whenever pressed against a piece of paper. The Visconti Rembrandts are available with a variety of nib options; you can choose between fine, medium and broad nibs. Choose the best one that suits your writing style. 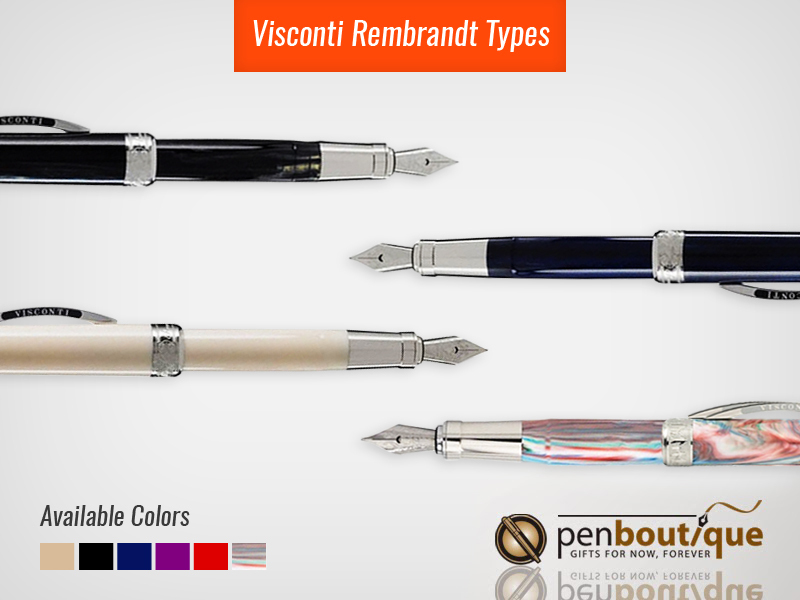 Visconti Rembrandts are designed to work with medium size standard cartridge and converters. Plus, the best part is that you’ll get a free cartridge and a converter with the pen, Fascinating isn’t it. 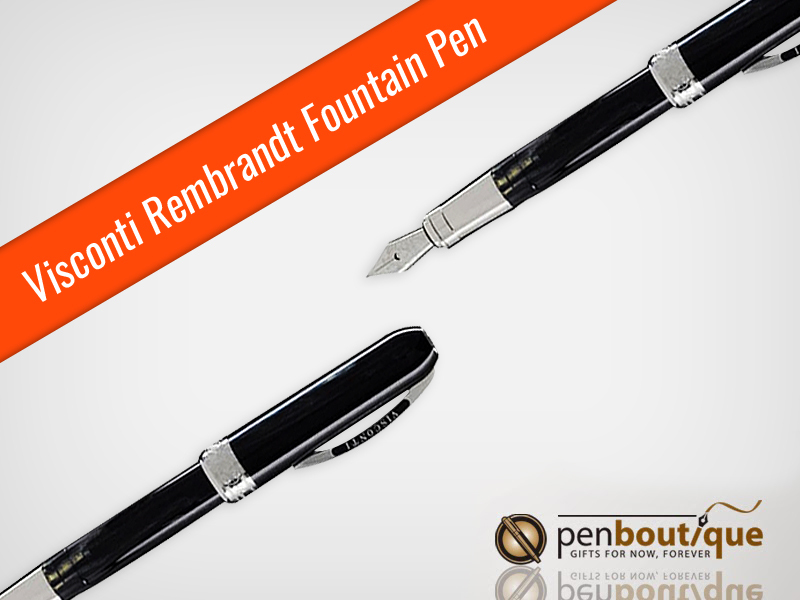 With the new Visconti Rembrandt you can use any medium sized international cartridge. Obviously, the long cartridges will work as well but while changing they might get stuck inside the barrel. And you might have to waste your precious time trying to pull the cartridge out from the pen. Hence, it’s best to stick with medium size standard cartridges. And talking about converter, Visconti has provided a standard size converter with the pen. The design of the converter may differ from a regular standard converter, but it’s not a big issue. The main point is that it takes any kind of standard cartridge. When it comes to performance, Visconti pens have always stood a notch above its competitors. And the cool thing about this pen is that it delivers the same quality performance that we expect from any Visconti pens, but at a cheaper price. The sturdy steel nib featured on the pen delivers fine writing experience without any signs of skips and scratches. 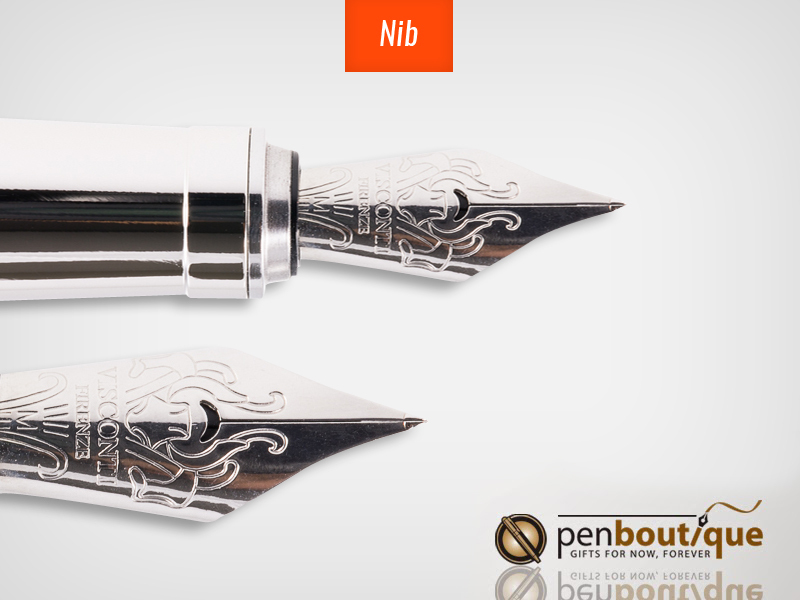 Upon writing, the nib offers a balanced feel and lays down consistent ink flow. 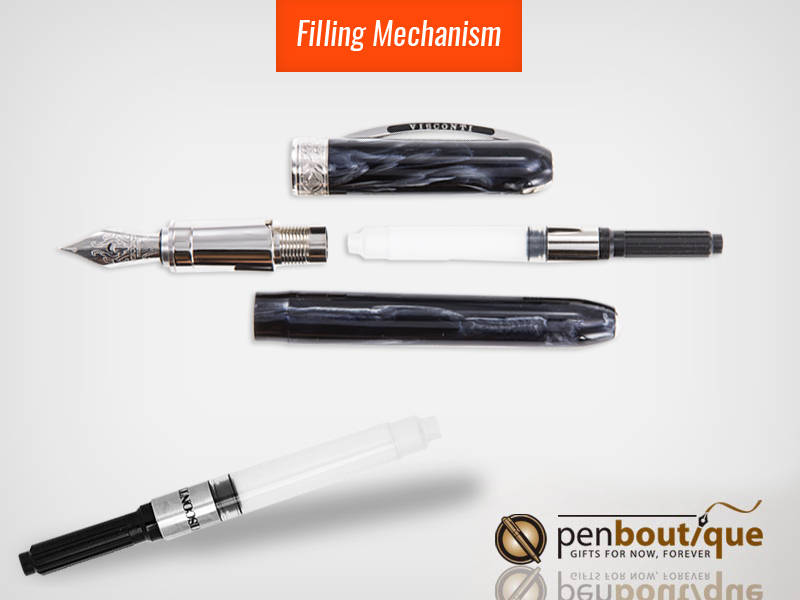 And as writers, it is one of the most crucial things that we expect from a good fountain pen. · Good for people who have to take down quick notes. · Wet nib, not good for writing on thin papers. · Not a good choice for people who tend stick with long standard cartridges.